3. #A1853 Back Upholstery, 16"
3. #A1854 Back Upholstery, 18"
3. #A1855 Back Upholstery, 20"
24. #A1850 Seat Upholstery, 16"
24. #A1851 Seat Upholstery, 18"
24. #A1852 Seat Upholstery, 20"
8. #A2645 Spreader Bar, 16"
8. #A2646 Spreader Bar, 18"
8. #A2647 Spreader Bar, 20"
28. #A3600 Cross Frame, 16"
28. #A3601 Cross Frame, 18"
28. 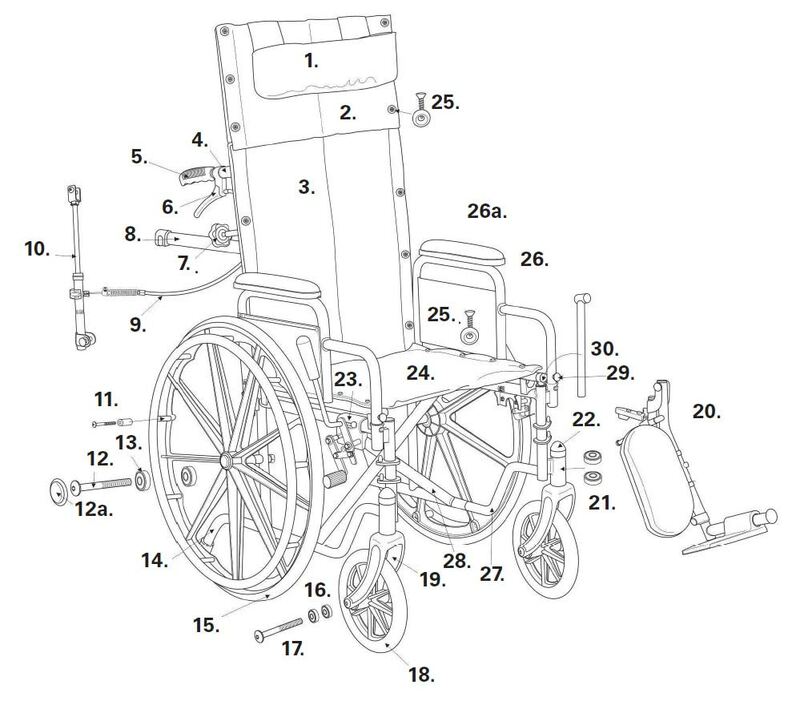 #A3602 Cross Frame, 20"
Looking for wheelchair parts for brands other than Panacea? See our full selection below or contact your Account Manager for more details!